I watched the way leftist Vietnam War protesters treated fellow students and professors. I watched left-wing students make “non-negotiable demands” of college administrations. I saw the Black Panthers engage in violence — including torture and murder — and be financially rewarded by leftists. Why do leftists feel entitled to do all these things? Because they have thoroughly rejected middle-class, bourgeois, and Judeo-Christian religious values. Leftists are the only source of their values. Leftists not only believe they know what is right — conservatives, too, believe they are right — but they also believe they are morally superior to all others. 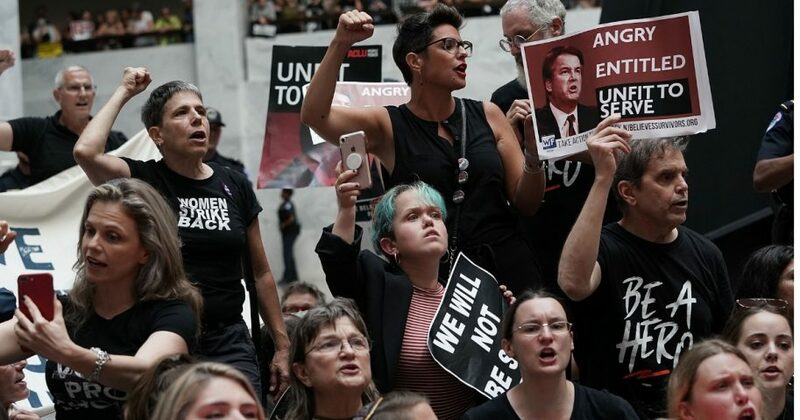 Leftists are Ubermenschen — people on such a high moral plane that they do not consider themselves bound by the normal conventions of civics and decency. Leftists don’t need such guidelines; only the non-left—the “deplorables” –need them. The opening skit of “Saturday Night Live” this past weekend — Matt Damon’s mockery of Judge Brett Kavanaugh — provided a timely example. Is there an equally prominent conservative public figure on the right who has ever said “F*** Obama!” on national television just as Robert De Niro shouted, “F*** Trump!” at the recent Tony Awards? There surely are mean conservatives — witness some of the vile comments by anonymous conservative commenters on the internet. And it is a moral scandal that Ford has received death threats. The difference in left-wing meanness is the meanness of known — not anonymous — people on the left. They don’t hide behind anonymity because they do not feel bound by traditional notions of civility, for which they have contempt. Now you can understand why the left hates Pence, a man who has, by all accounts, led a thoroughly honorable life. He — and other evangelical Christians and Orthodox Jews — tries to live by a code that is higher than him.